Are there languages where nouns are invariable? As I have read such languages simply use a numeral in front of the unchanged noun. 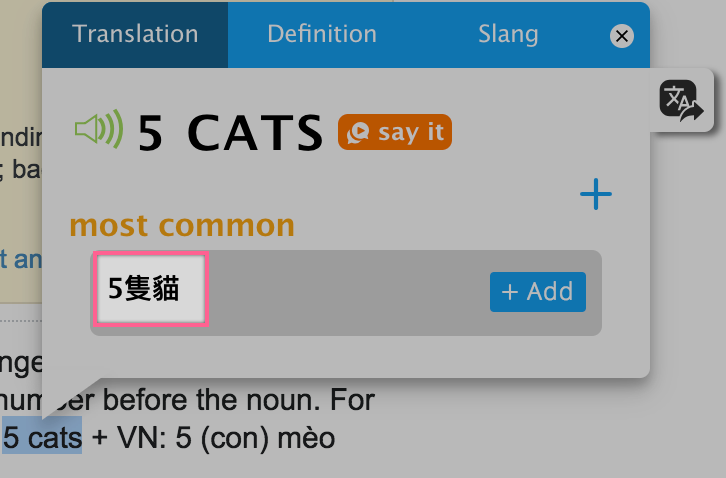 They don't say "five cats", but "five cat" or "five tail cat". I would like to have more information. Which South-East Asian languages use such a system. Examples would be good. Added: Now I have some information about Indonesian: English two cakes is Indonesian two cake. If there is no numeral before the noun the plural is expressed simply by saying cake two times: cakes is cake-cake. Source:http://forum.thefreedictionary.com/postst143558_Writing.aspx?find=unread Priscilla, an Indonesian woman, talking about numerus in her language. Read her fourth answer. Malay and Indonesian, like many Austronesian languages, use reduplication to mark plurality. Māori is, with the exception of 8 words, a language like this. Nouns have the same form in singular and plural and are distinguished by the article used: te for singular and ngā for plural. You can see that the form of the noun itself doesn't change. However, in order to show plurality it has many many many counters, for instance 名 (mei) which is a polite counter for people. 二十日　- Literally 20 (day counter). Although not SE Asian, these are two languages where nouns are almost invariable. Here, ta and ti marks indefinite plural in As and Bn respectively. Not the answer you're looking for? Browse other questions tagged list-of-languages grammatical-number or ask your own question. Do any languages have verbal inflection with a plural object? 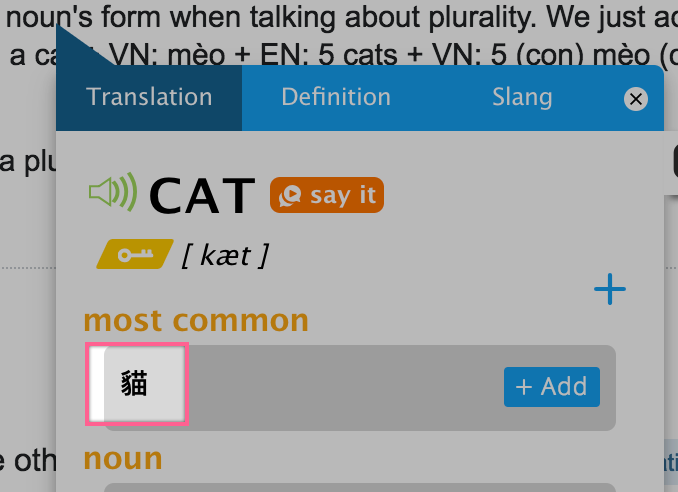 Do any languages form plural pronouns by adding a suffix to the singular form? How common is it for languages to use the plural for zero? Are there languages that form noun singulars by adding suffixes to plurals, rather than vice versa? Which modern languages have more than two grammatical categories for numbers? Why is the word “God” plural in some languages? Are there any languages with different plural forms for different numbers? Are there any languages that mark plural before the noun, while everything else comes after? How common is the “elliptical dual” (or plural) cross-linguistically?